Once we started talking to Bridges and looking at the impact they wanted to make through their investments, that was a real fit with how we try to run our business. They've challenged us to be better than we were. Challenge: Around two million people in the UK are unemployed, and while the rate of unemployment is slowly decreasing in other parts of the UK, it has remained largely static in Wales. The longer someone is unemployed, the less likely they are to ever return to work. Sustained employment offers individuals greater well-being, improved physical health and better opportunities for their families in the long run. Investable Solution: Wholebake manufactures and sells great tasting gluten-free energy bars, from its factory and distribution facilities in North Wales. These are sold under its own brand, 9BAR, as well as for third-party national brands. 9BAR uses natural ingredients, with each bar packed full of seeds which are high in natural protein and fibre, and are aimed at the healthier segment of the snack market. In July 2015 9BAR relaunched with a new brand identity and with its range of bars reformulated to further reduce sugar and fat content. As part of this re-branding, 9BAR partnered with SolarAid, a UK-based charity seeking to eradicate the kerosene lamp in Africa by 2020. 9BAR is working with SolarAid so that every 9BAR sold will provide a night of light to a family that needs it, or “Good Energy, Twice”. 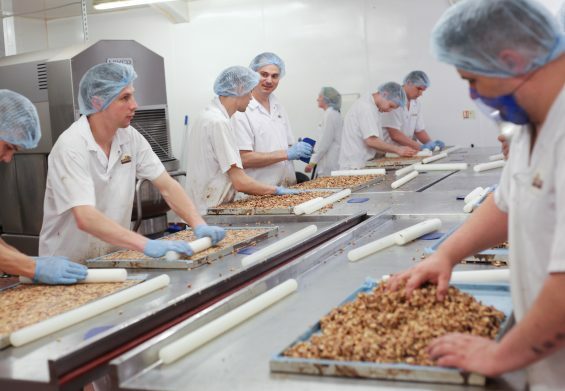 Outcomes: Wholebake’s factory and warehouse are located in the lowest 11-20% and 21-25% income and employment deprived local authorities in the UK, with the majority of employees drawn from the local area. Since investment, Wholebake’s workforce has increased by 33%, with over half of those employed being formerly unemployed. Employees are also provided training and support. In addition, via the “Good Energy, Twice” campaign with SolarAid, Wholebake has provided over 28,000 solar lamps to families in need across Africa, and all of Wholebake’s own energy usage now comes from renewable sources.